My name is Sally and I arrived at Ngamba in 1998 at the same time as Becky. She is my best friend. 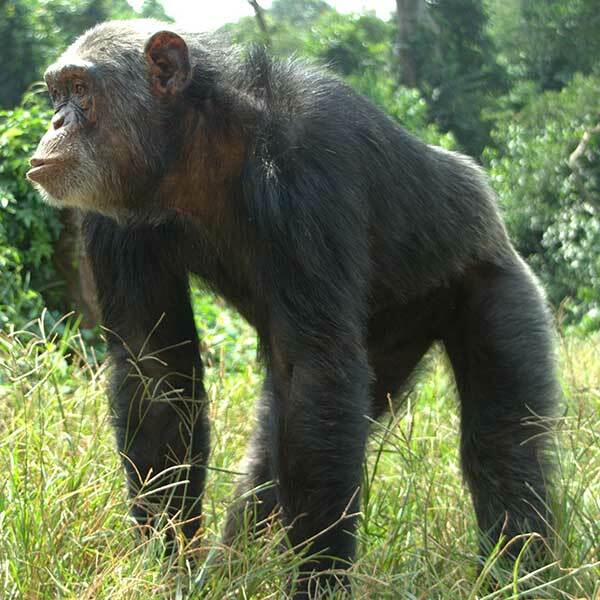 I am very gentle and sweet-natured and you can often find me playing with the younger chimps or splashing around in the water. I also love to spin in in the grass until I get so dizzy I fall over laughing.